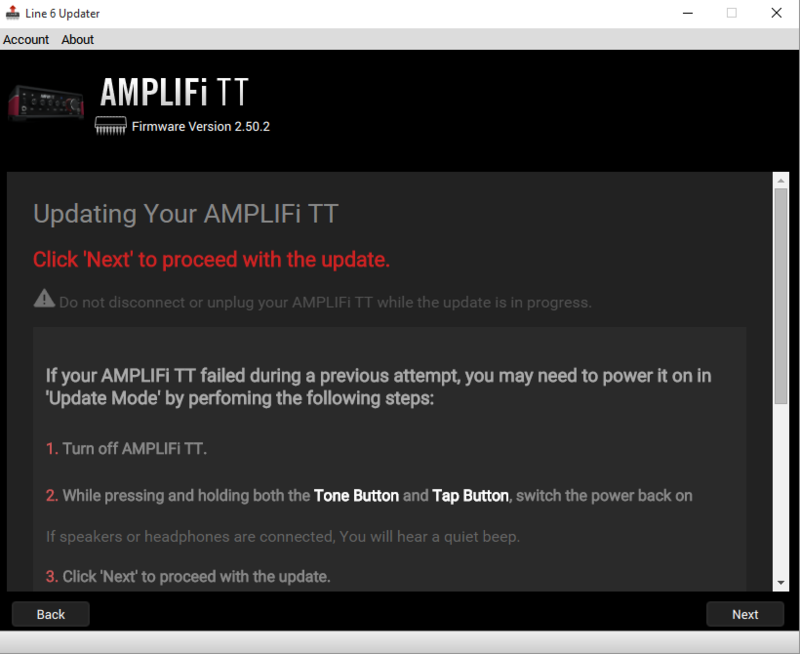 Here are the steps needed to update an AMPLIFi with Windows or OSX. The whole process should only take about 5 minutes. Click on each image to expand it. 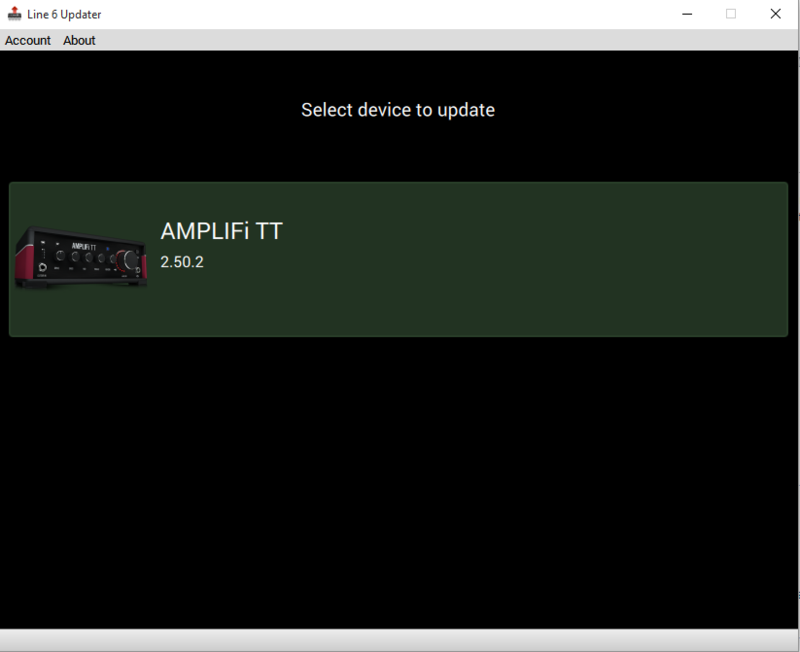 Connect the Amplifi gear to your computer with a standard USB A/USB B cable, and then run Line 6 Updater program. 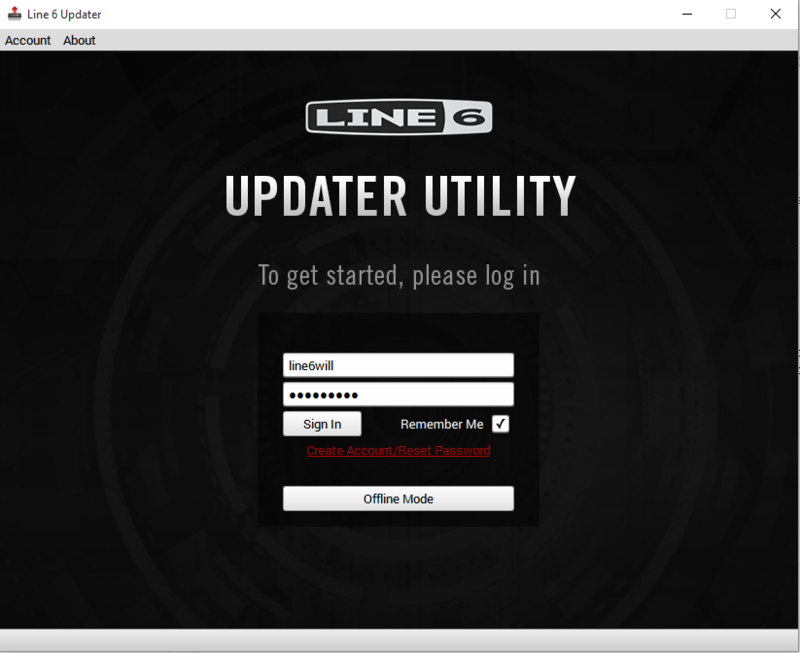 With your Line 6 user name and password, log into the program. Click on the connected Amplifi. Here, we're updating the TT. 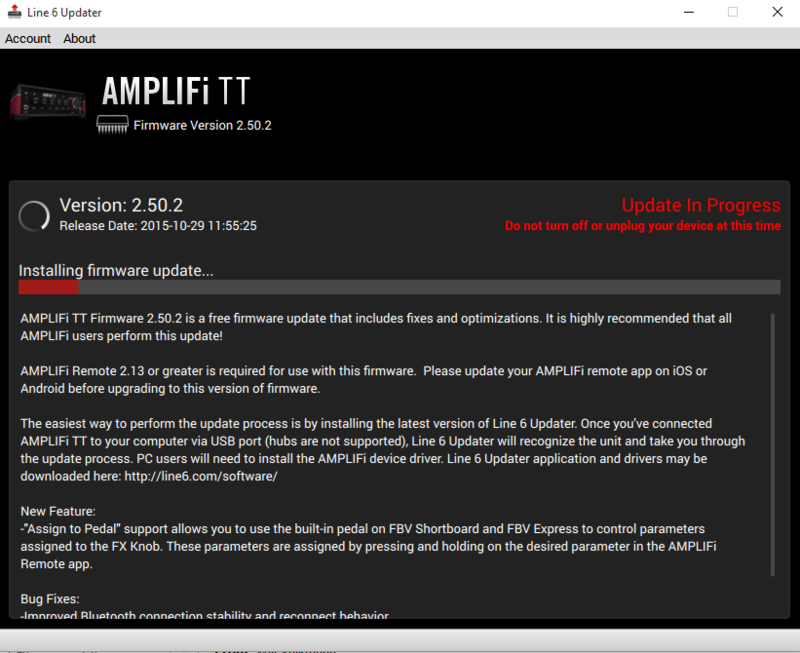 Click on the latest version of firmware from the top of the list. You do not have to install each previous version, just the latest. This page shows you what you'll need to do if the update fails (we'll go over this at the end in detail). In the meantime, hit Next. Here's the program doing its thing. Once done, power cycle the unit. Forget or unpair the Amplifi unit from your mobile device's Bluetooth menu. Press and briefly hold the Bluetooth button on the Amplifi until it flashes quickly. On your mobile device, go to your Bluetooth settings and select the device, as it's trying to connect. 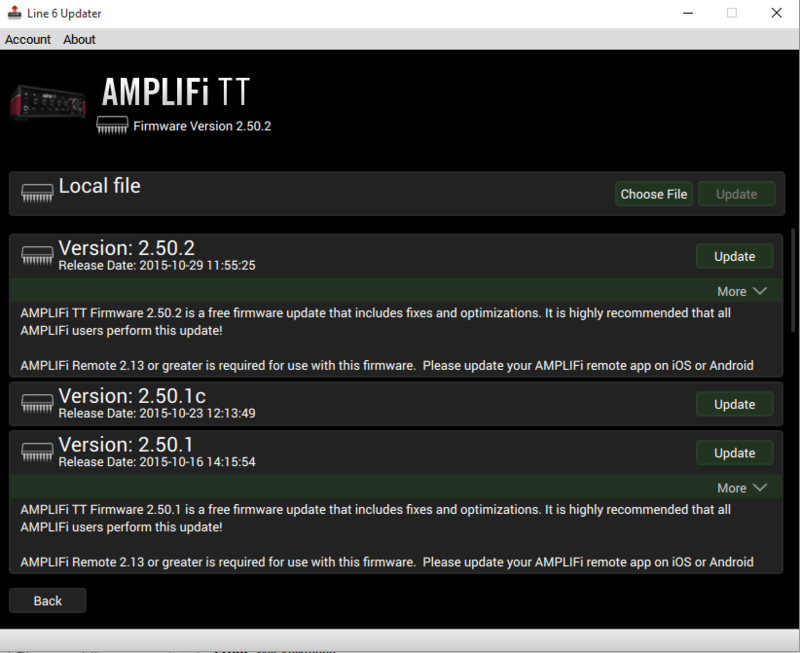 Once reconnected, launch the Amplifi Remote app. 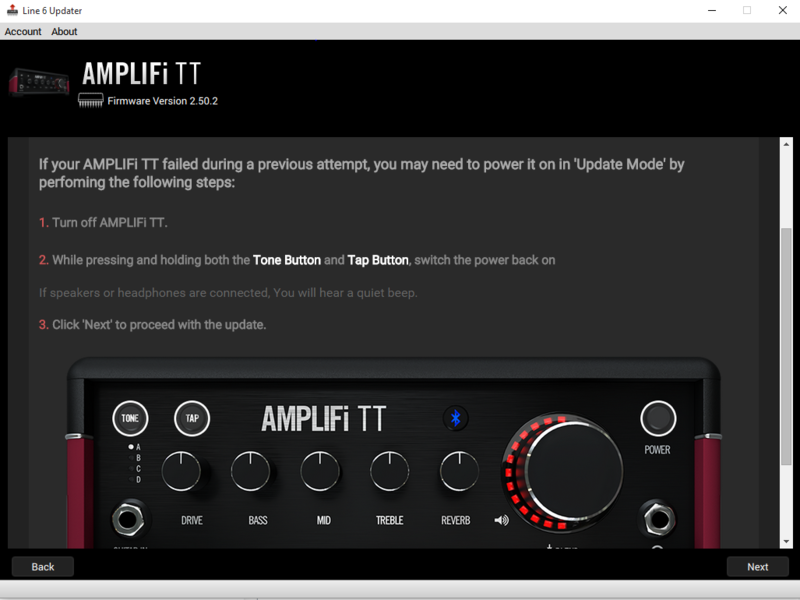 In the event that the update fails, or the gear isn't rebooting properly after the update, you'll need to enter update mode by holding down "Tone" and "Tap" while booting up. If using the FX100, hold down footswiches A and C.
Note: If an update continues to fail, please try another computer's USB ports. USB port stability can vary between computers.